On top of the bespoke, one-of-a-kind weddings we are known for; we also offer ready-made packages for our busy couples. 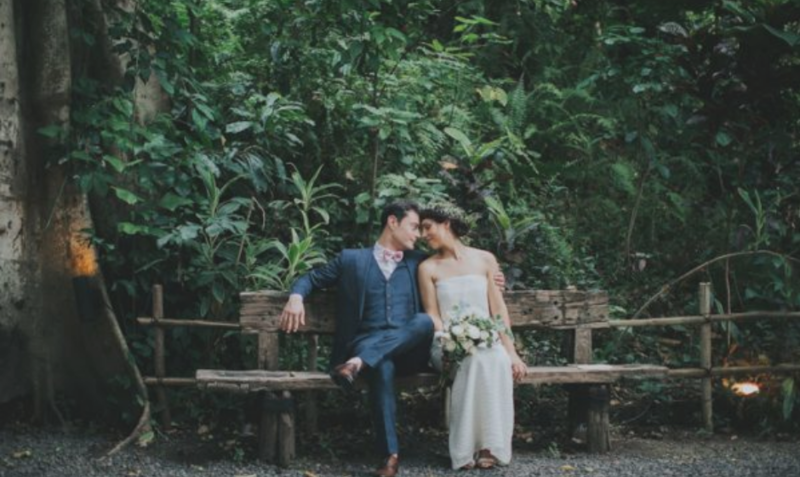 We have compiled a list of the most popular wedding choices, with venues ranging from jungle and river views, to sweeping clifftop vistas. You can use these packages as a starting point and customize your choices, or you can pick one of these as a “prêt-à-porter” wedding! 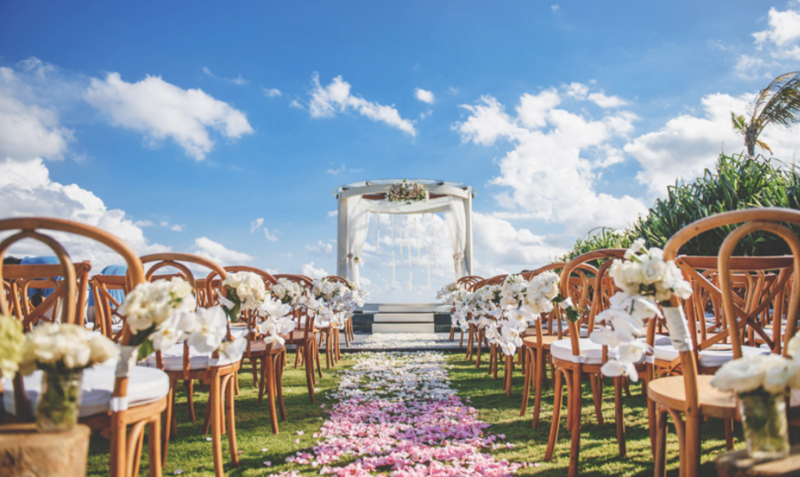 Whichever option you choose, you can be sure that the Wangi Bali Wedding Company will be there on the big day to ensure everything goes as planned! Exclusive 3 hrs use of the Waterfall Deck at Trans Hotel Seminyak. Wangi Bali organizer team on-site for the day. Fresh flowers decoration: Magical Ring flower gate, bride bouquet, groom boutonniere, Virgin Road flower aisle, 4 Morrocan lanterns, flower shower for 30 guests, welcome board with fresh flowers, 30 banquet chairs with ribbon decoration. Civil Minister on-site, including religious and civil documents processing. Indonesian MC during the ceremony. Welcome drinks for 30 guests. Champagne wedding toast for the bride and groom. Complimentary use of the wedding preparation area for 2 hours prior to the wedding. 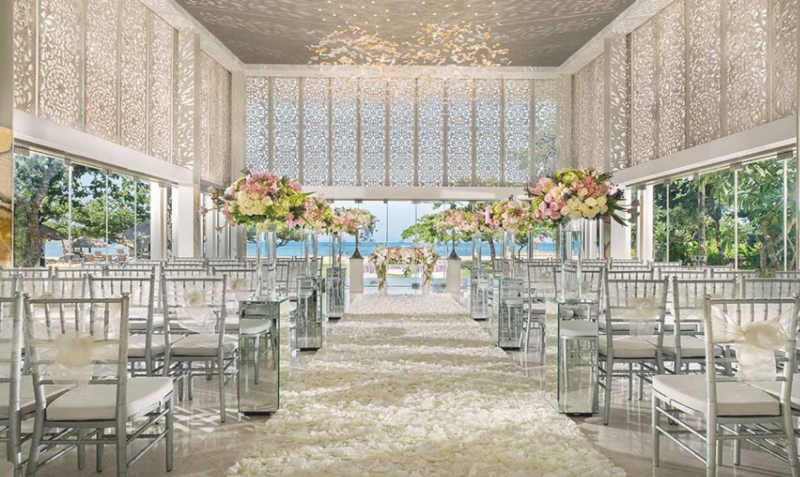 Exclusive 1 hr usage of the Jewel Box Chapel at Sofitel Bali. Exclusive decorations throughout the chapel, bride’s bouquet and groom’s boutonniere, flower shower petals. 2 hrs usage of preparation rooms. 2 nights complimentary stay at the 1-Bedroom Pool Villa for the bride and groom. Choir for the wedding ceremony. “Sofitel Twist” mocktails for the wedding toast, for 50 guests. Balinese massage at So Spa for the bride and groom. Aesthetic sessions at Vietura Aesthetic Lifestyle for the bride and groom. Beautiful beach-front sunset wedding venue. 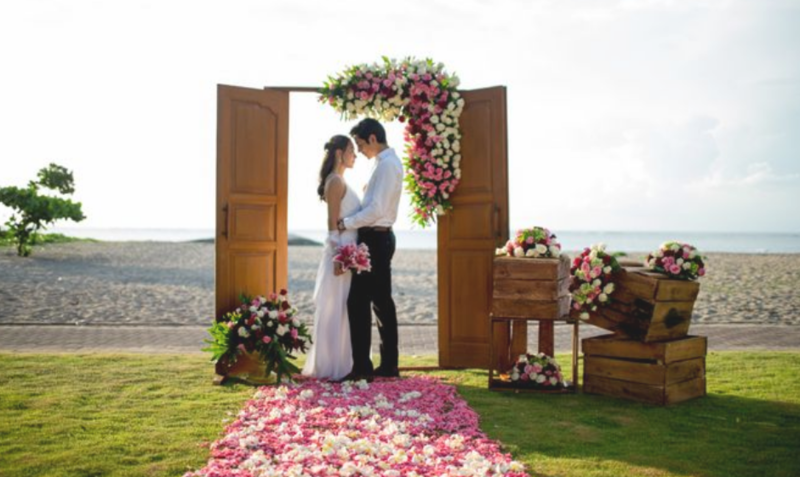 Intimate and romantic reception set up in the garden beach. Fresh flowers decoration: Standard flower decoration in natural white, green or pink; wedding arch, 2 standing flower arrangements, altar table with fresh centrepiece, 2 baskets of rose petals for flower shower, flowers aisle, bride bouquet of white roses, welcome board, 1 bridal table centrepiece, centrepieces for guest tables, hanging lanterns, banana trunk, photo booth. Blessing ceremony by an English/Indonesian-speaking celebrant. Commemorative wedding certificate from Wangi Bali Wedding Company (non-legal). Welcome drink of soft drink and/or juice for 100 guests. Indonesian menu dinner buffet for 100 guests. Indonesian MC during the ceremony, duo-electone entertainment. 1 night complimentary stay in a standard room for the bride and groom. Wedding gift from Wangi Bali Wedding Company. Beautiful wedding venue with jungle and river views. 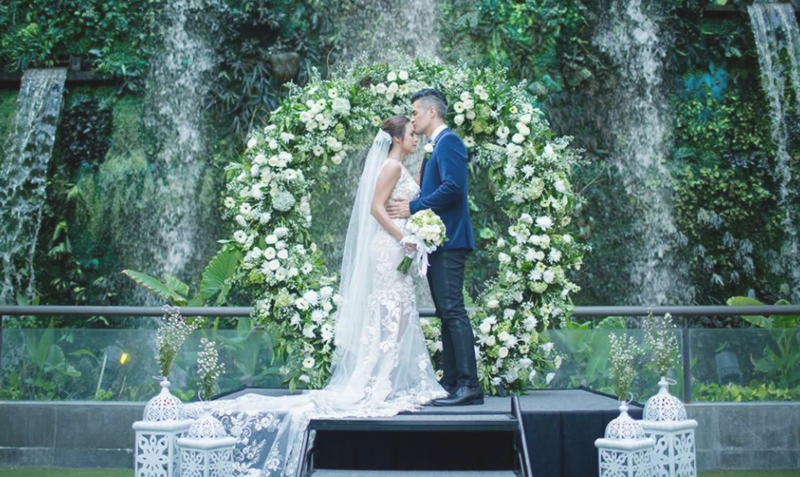 Romantic and magical reception set up with the jungle and river views. 1 hr free-flow soft drinks and juice for 100 guests. Indonesian MC during the ceremony, duo-electone entertainment, 3,000 watt sound system. 1 night complimentary stay in a 1-bedroom villa for the bride and groom. Beach-front with beautiful sunset wedding venue. Exclusive use of the venue from 7 am – 12 pm (incl. loading times). wonderfully intimate and cozy reception set up in the villa. Indonesian menu dinner buffet for 200 guests. 2 nights complimentary stay in the 4-bedroom villa, including breakfast for 8 guests. Relaxing massage for the bride and groom.